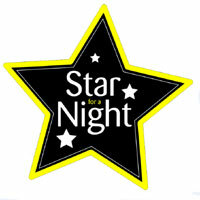 Tickets are on sale now for Star for a Night 2019! Join us for the 20th anniversary celebration! We have a fantastic line up of young performers ready to entertain you for the evening. The show will include a lively mix of singing and dancing numbers, and a moving drama piece celebrating equality between men and women. Show your support to local young people and prepare to be amazed by their talents. Wednesday 10th and Thursday 11th April 2019, 7pm at the Harlequin Theatre in Redhill. Book your tickets at the Harlequin Theatre website, visit the box office in person or call 01737 276500. What is Star for a NIght? Be 11 years old by the date of the show. If you are aged 11-18 and a member of an established band that would like to perform in the show please get in touch using the contact details below.